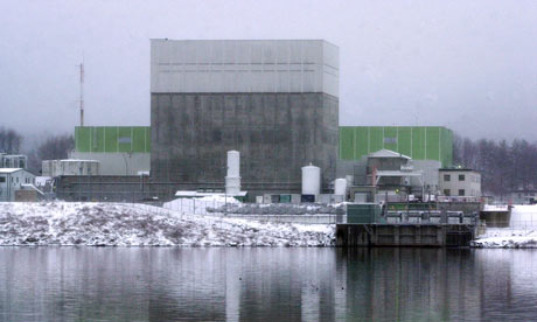 Vermont may soon become the first state in America to shut down a nuclear reactor. During a meeting tomorrow, the state senate is likely to deny a request to extend the life of the 38-year-old Vermont Yankee nuclear reactor. The reactor site has come under scrutiny in recent years because of safety issues and leaks of tritium, a radioactive isotope linked to cancer. Given the site’s unsafe history, it’s not too shocking that the state senate won’t renew the plant, which is set to close in 2012. But the decision to condemn Vermont Yankee is significant because the move comes just one week after President Obama pledged more than $8 billion in loan guarantee to build new nuclear reactors in America. Nuclear’s hazardous potential already makes it a contentious issue amongst environmentalists and an unsafe plant in the news surely begs the question: Should America really be building new reactors when we haven’t figured out a way to take care of our old ones? According to the Nuclear Regulatory Commission, about 104 reactors throughout the US are set for retirement in the near future, and 27 leaked tritium. 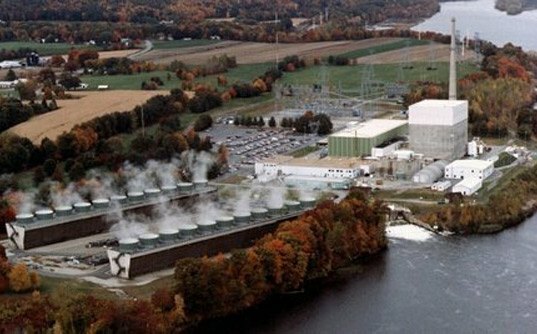 In 2009 alone, the Vermont Yankee plant was found to be leaking tritium on three separate occasions (a far cry from the plant’s “safe, clean reliable” slogan). A later investigation concluded that folks at Entergy Corp., a New Orleans-based company that owns the reactor, lied about the extent of tritium contamination in the local water supply. The reactor’s shady history is likely to make even conservatives skeptical of whether the country is capable of properly regulating and maintaining its existing nuclear reactors, never mind a third generation of nuclear tech. Environmentalists who support nuclear point to the tech’s lack of greenhouse gas emissions and the fact that countries like France derive most of their power from the energy source. Still, America’s crumbling system of existing reactors will surely make any greenie question whether the country should be investing so much money in future nuclear development. "Vermont may soon become the first state in America to shut down a nuclear reactor." Oregon shut down it's Trojan Nuclear Reactor in 1992. Upcoming nuclear technology looks very promising, addressing many of the technologies previous shortcomings. Given it's potential and the ever growing demand for energy I believe cheap, safe, and easy to manage nuclear power is going to be critical to the future world economy. Bill Gates had a great TED Talk about it recently. You say, "The reactor’s shady history is likely to make even conservatives skeptical of whether the country is capable of properly regulating and maintaining its existing nuclear reactors, never mind a third generation of nuclear tech." Uh, no. False dichotomy. New technology is better. We should be building brand new big nuclear power plants and while retiring some of the smaller old ones. This is misleading. Tritium is a scary word that means a certain isotope of hydrogen that is naturally occuring in measurable abundance in the water we drink. yes it is radioactive, but with a 4,500 day half life. ionizing radiation (which all radioactive isotopes emit) itself is radioactive, so to imply specifically hydrogen 3 has been linked to cancer makes it sound a lot worse than it is. out of everything that could be leaking out of a reactor, a little hydrogen-3 isn't all that bad. A HUGE Thank You Vermont and to all of those who have worked very hard on this issue.